Event: CyberInspire is an all day workshop where students will dive head-first into the exciting world of cyber security. Participants will be split up into four groups and rotate through four one-hour sessions. Each session will consist of a game or activity that will expose them to basic computer security concepts. 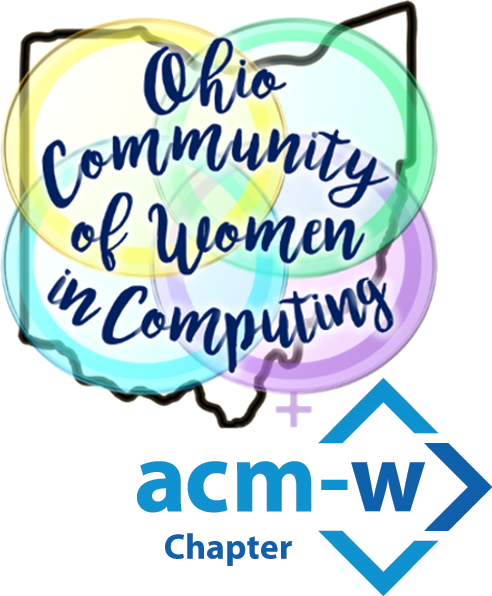 Topics include cybersecurity, code building and cryptography. 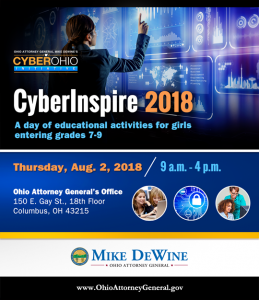 Intended Audience: This event is in intended to spark girls’ interest in the cyber security field. This event is intended for students entering grades 7-9 in the 2018/2019 academic year. Registration: In order to register for this event, each student will need a parent sponsor. Please have your parent fill out the requested information on the registration page when you register. In the event that you sign-up along with people you know, you can request to be grouped with them on the registration form—however, there will be no guarantees. Lunch will not be provided—please bring a packed lunch.